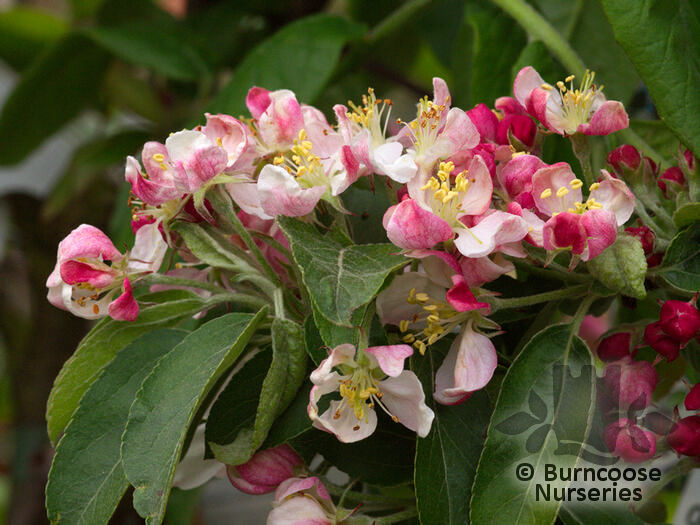 A RIOT of blossom, sometimes scented, in spring, jewel-like fruit in profusion and vibrant autumnal leaf colour. Natural source of pectin for jams and jellies. 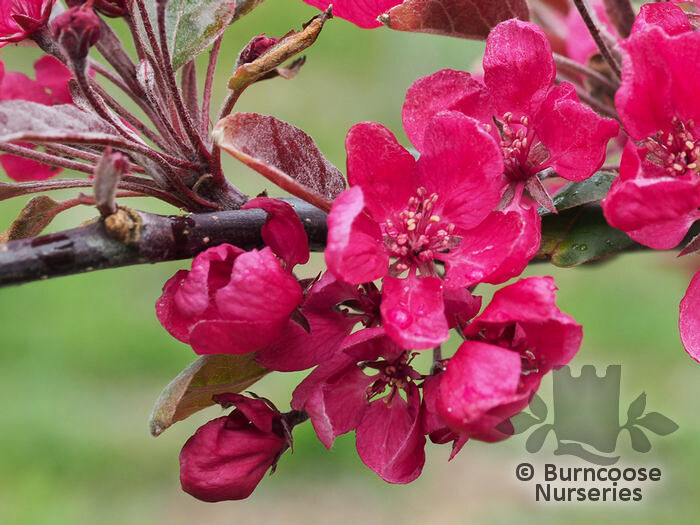 Universal pollinator for domestic apples. Sweetly scented firewood at the end of its days. Genus of about 35 species of deciduous trees and shrubs from woodland and thickets in Europe, Asia and North America. Deciduous - leaves are alternate, oval to elliptic, mostly toothed, sometimes lobed. Fruit - Plants which produce an edible or ornamental fruit - attractive ornamental fruit is inedible. It is a rich source of pectin and makesa popular jelly. Partial shade - tolerated but full sun preferred. Additional Features	- Good to know - typically small trees 4-12m (12-40ft) with twiggy crowns. 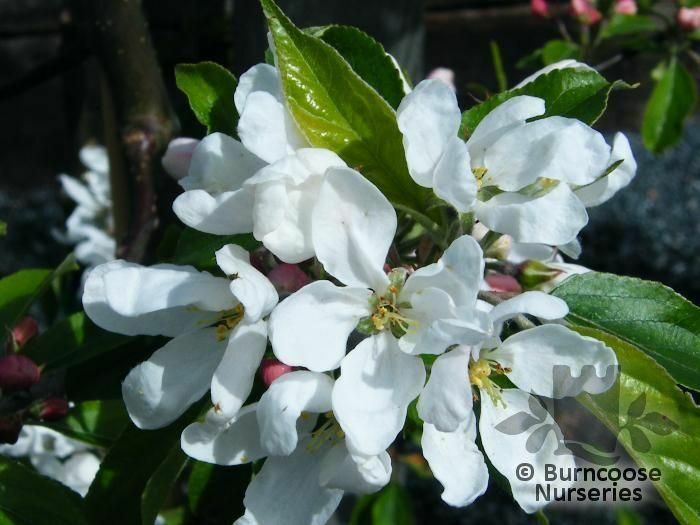 Grown for their flowers, fruit and colourful foliage. Wildlife plant - main pollinators are bees. Long-lasting fruit is a feast for birds in winter. Flower Shape	- Cup-shaped - usually shallowly cup-shaped with 5 petals. 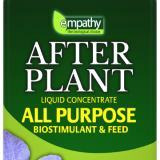 Soil Conditions	- Fertile moist well-drained soil - moderately fertile preferred. 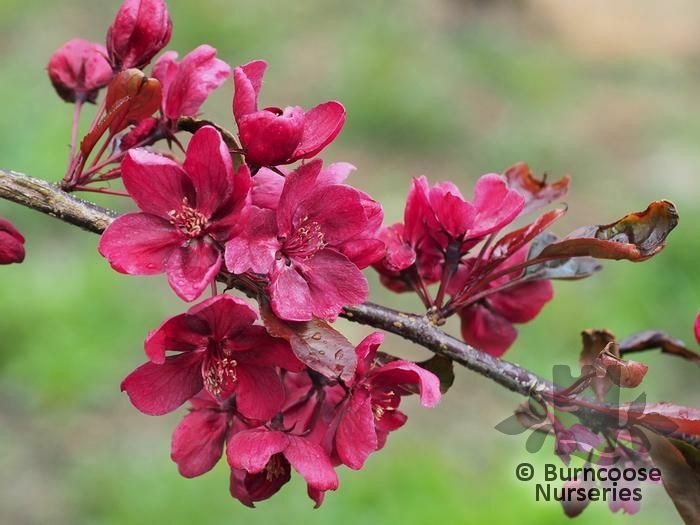 Commonly known as: Apple, Crab apple.